*Please note that all payments should be in Leva or in Euro only and are given directly to the driver after the trip is completed. 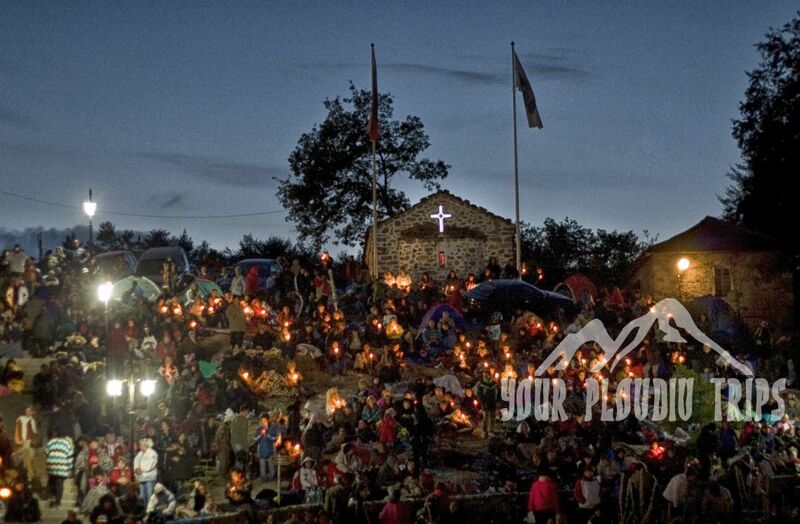 Krastova Gora is one of the largest Christian centers in Bulgaria, which attracts a large number of pilgrims. The place is situated in the Middle Rhodope Mountain, 60 km from Plovdiv. Its altitude is 1,545 meters. The complex is situated on a meadow amidst a beautiful forest. The reason that makes Krastova Gora attract so many pilgrims from the entire country is the legend that a piece of the Christ’s Cross was buried here. Many legends speak about this place and all of them are related to the Cross of Christ and the wonder of healing.The church “Protection of Holy Virgin Mary” which was completed in 1995 is situated in the beginning of the chapel complex. There is a spring in the region, which also has curative power according to the legend. The nature around the Christian complex is very beautiful, and the region attracts nature admirers and people who seek a peaceful place for relaxation and rest. 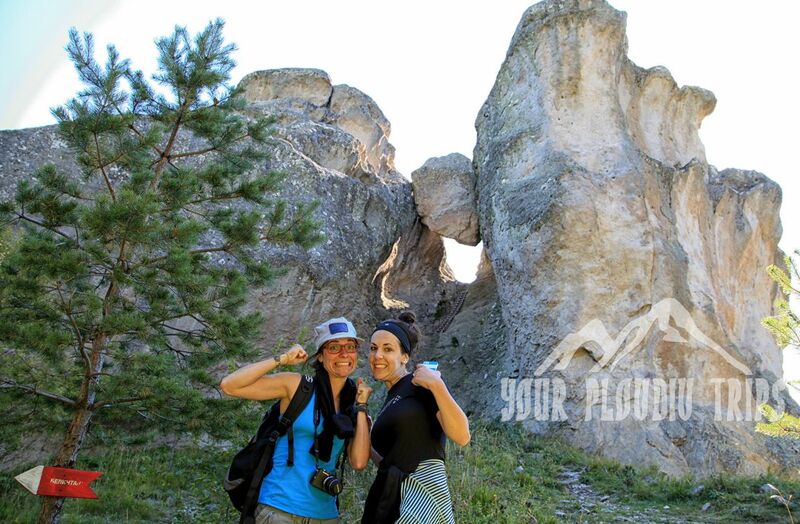 The Karadzhov Boulder is a remarkable rock formation located near the village of Mostovo in the Rhodope Mountains. The formation is two stone pillars that rise to plateaus with a peak that is 1,448 meters high, and with walls so steep and narrow that they form a deep fissure. In this fissure rests a giant stone, testimony to the massive forces needed to wedge it there. This stone is called The Karadzhov Boulder. From ancient times, this stone has been seen as something extraordinary – the ancient Thracians erected a sanctuary at the site to honor their dead.. 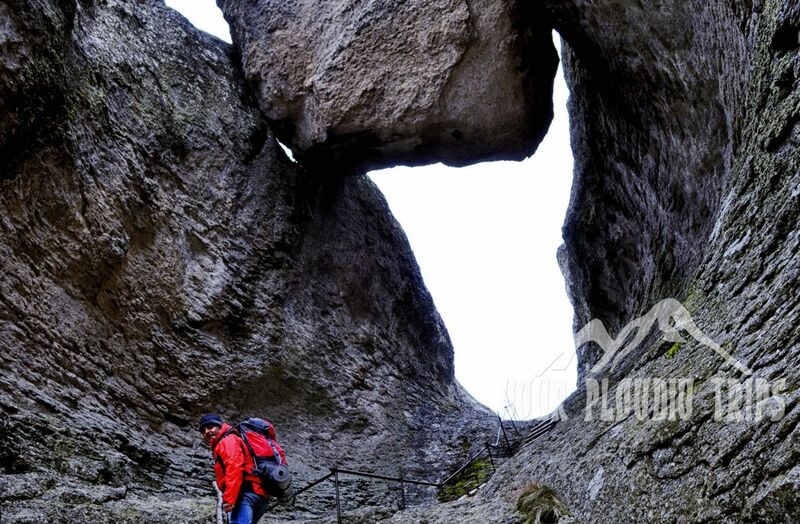 But whatever the history or legends attached to it, the Karadzhov Boulder is above all an amazing natural phenomenon, set in the beautiful surroundings of the Kormisosh Nature Reserve. The ascent to the upper part of the cliff is aided by a metal parapet and wooden stairs that pass directly beneath the stone. The last few steps were carved by the Thracians, but many visitors don’t notice them since they have been effaced by the wind, and there are many other sights to catch the attention. 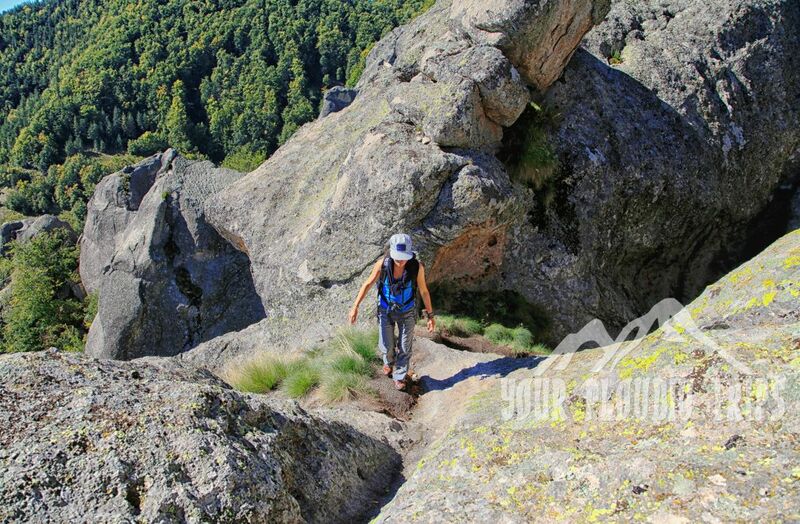 The ascent is very steep and requires caution, but the view from the top is incredible, revealing many Rhodope scenic spots below .Since the only access to the site is by a hiking trail, and since the area is a protected nature reserve, the natural beauty there remains intact. You start 9.00 A.M. After 1 hour drive you arrive at Krastova Gora. You explore the area on foot for about 40 minutes. Then you hike in the moutain , exploring Kormisosh Nature Reserve, where you can see deers and other wild animals.After 1 hour and 15 minutes hike you reach The Karadzhov Boulder. 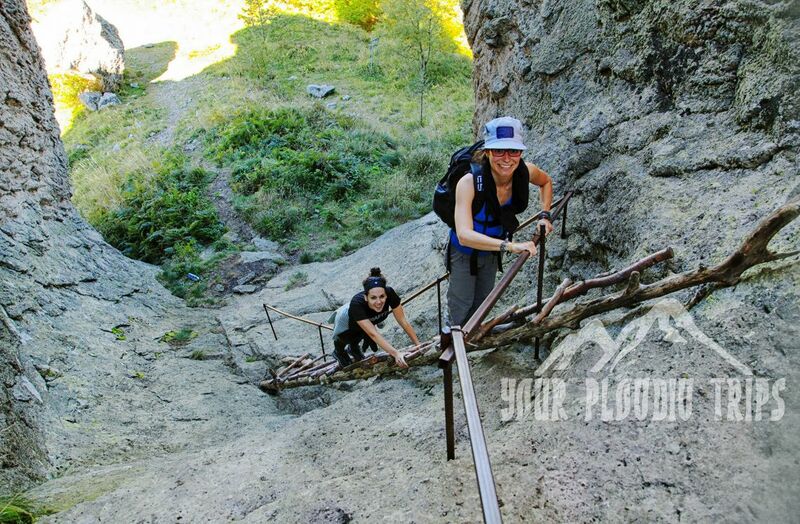 From here you are climbing on a wooden ladder some 30-40 meters, until you reach this natural phenomenon and have amazing view all over Rodopi Mountain.You can have a picnic here.Than you go back to Krastova Gora ( 1 hour and 15 minutes walk ) and drive to Plovdiv for 1 hour. We are situated in the Old Town of Plovdiv on 3 Chetvarti Yanuari Str.